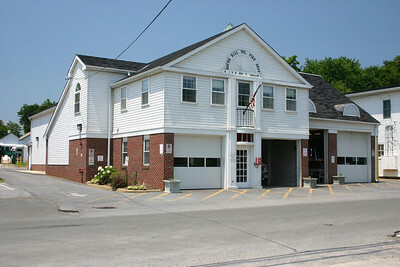 Round Hill Volunteer Fire Department - Station 4. 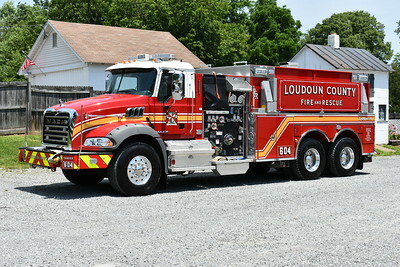 Loudoun County, Virginia Engine 604 from Round Hill - a 2017 Pierce Velocity with a 1500/750/50 and job number 30930-01. 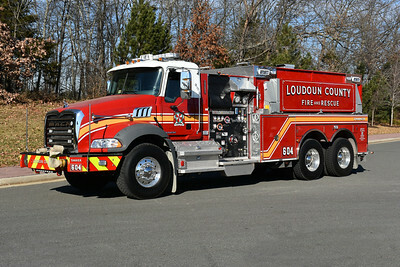 One of three ordered by Loudoun County (others assigned to Engine 605 and Engine 627). 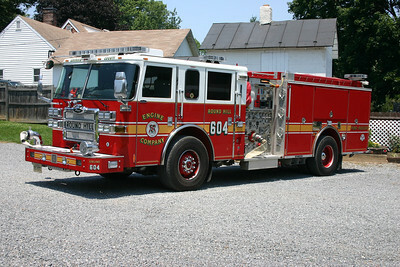 Loudoun County, Virginia Engine 604, a 2017 Pierce Velocity with a 1500/750/50 and job number 30930-01. This is one of three delivered, the others being assigned to Engine 605 and Engine 627 (might be re-assigned). Rescue Engine 604 - 2005 Seagrave Concorde CB-50KK 1500/750/50. One of two 2016 Mack Granite/Pierce 1500/3000 tanker delivered to Loudoun County in November of 2016. This is Tanker 604 for Round Hill. It carries Pierce job number 29709-01. The other tanker was delivered to Tanker 610 in Lucketts. 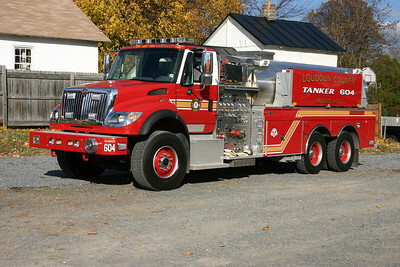 Tanker 604 from Loudoun County's Round Hill station is a 2016 Mack Granite/Pierce equipped with a 1500/3000. Pierce job number 29709-01. 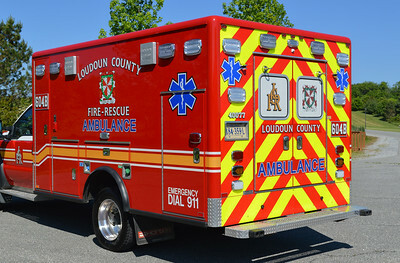 It is one of two tankers delivered to Loudoun County in late 2016 (the other is Lucketts Tanker 610). Photographed in June of 2017. The flatbed brush truck is a common truck style in Loudoun County. 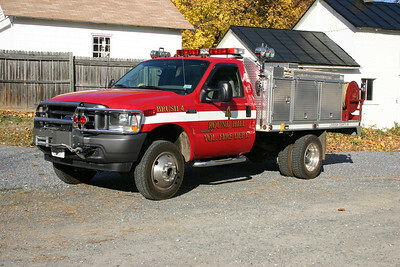 Brush 604 is a 2002 Ford F550 built by Elite and equipped with a 150/300. 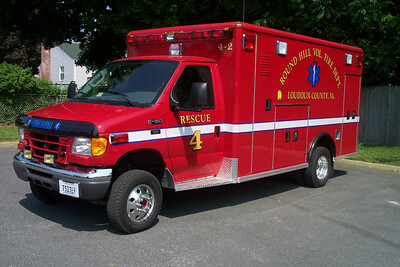 Medic 604 is a a 2009 Ford F450 built by Horton. 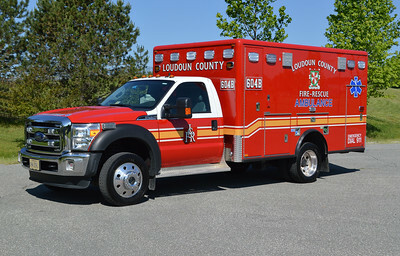 Medic 604B was one of three 2014 Ford F450/Horton's purchased by the county. This one is slightly different - it is 6 inches shorter in height due to the restrictions at Fire Station 4 in Round Hill. The other two are assigned to Station 3 in Middleburg and Station 10 in Lucketts. A rear view of M604B. A rear view of 604B showing the graphics on the back. 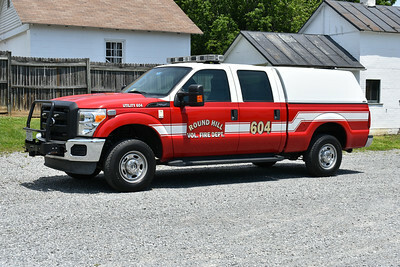 Round Hill, Virginia in Loudoun County - Utility 604 is a 2011 Ford F250. 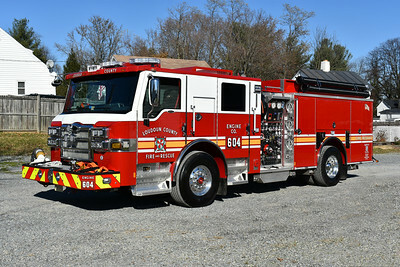 In 2015, Loudoun County took delivery of two 2015 Pierce Arrow XT 1500/750/50 engines and assigned them to Engine 604 in Round Hill (shown) and Engine 626 in Loudoun Heights. 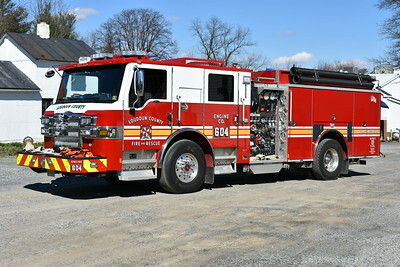 Transferred to Station 7 in Aldie in 2017. 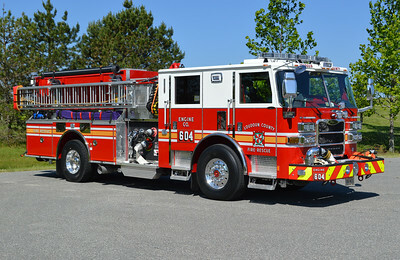 An officer side view of Engine 604, a 2015 Pierce Arrow XT 1500/750/50 as photographed in May of 2015. Transferred to Station 7 in Aldie in 2017. 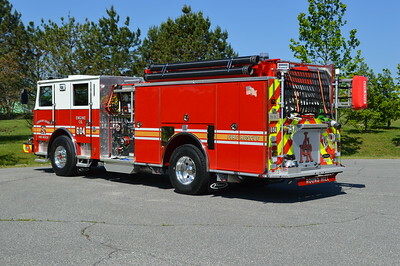 A rear view of Engine 604, a 2015 Pierce Arrow XT 1500/750/50. 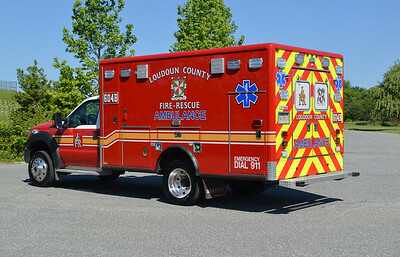 Transferred to Station 7 in Aldie in 2017. 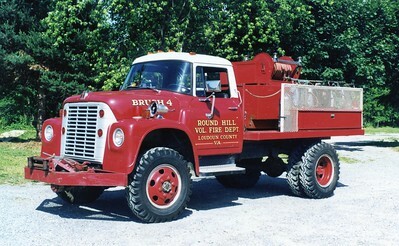 Round Hill's Engine 604 was this 2007 Pierce Dash 1500/750/50 and was one of three placed into service throughout Loudoun County. It went to Reserve in 2015. 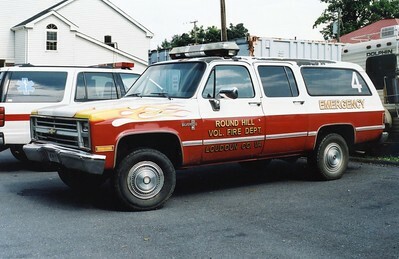 Old Wagon 4 at Round Hill was originally a Pierce demonstrator purchased by Round Hill in 1996. 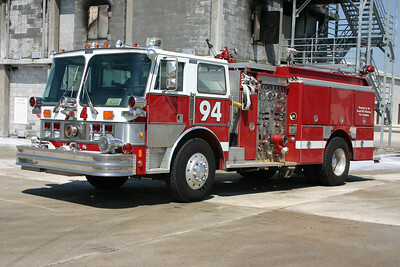 It is a 1994 Pierce Dash 1250/750 with rear entry crew doors located by the top mount pump panel. 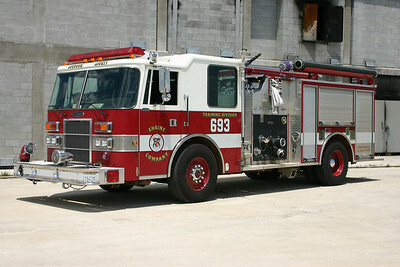 Engine 693 at the Training Center was disposed of during November of 2012. Engine 693 originally saw service as Wagon 4 in Round Hill. 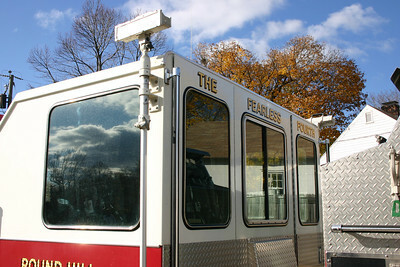 Originally a Pierce demo engine, the 1994 Pierce Dash was delivered to Round Hill in 1996. 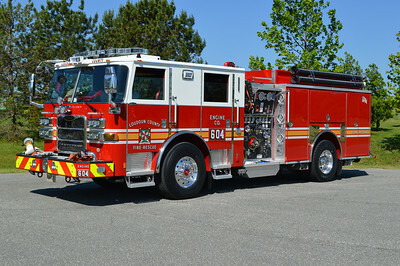 This Pierce arrived at the Training Center in 2008 after Round Hill took delivery of a new county engine. The unique doors for the crew found on Round Hill's 1994 Pierce Dash engine. 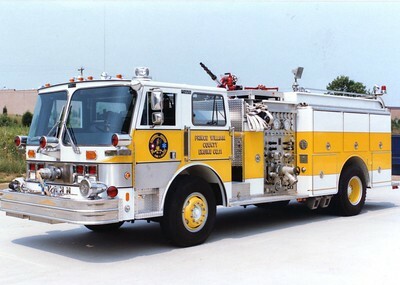 Former Engine 4, a nice 1985 Hahn/1999 LSI, 1500/500. ex - Stonewall Jackson (Prince Willliam County), Virginia. 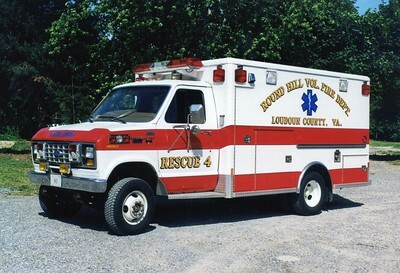 This 1985 Hahn 1500/500 was originally painted yellow and white and delivered to the Stonewall Jackson VFD just outside of Manassas, Virginia (Prince William County). 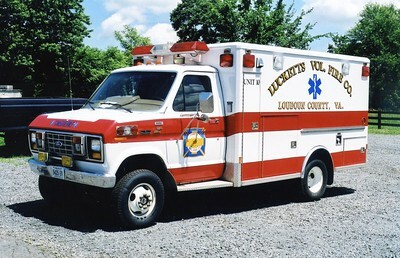 It was sold to Round Hill in 1999, who had LSI of Purcellville, Virginia rehab the engine which included a red and white paint scheme. The Training Center received the engine in 2006 not long after Round Hill placed into service their 2005 Seagrave rescue engine. 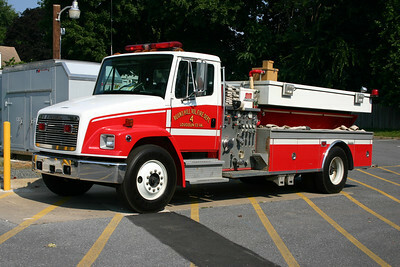 Engine 694 at the Training Center was sold back to the Stonewall Jackson, VA fire department in November of 2012. Former Wagon 11, a 1985 Hahn 92, 1500/500. Sold to Round Hill, Virginia (Loudoun County), in 1998. Tanker 604 is one of three similar tankers in the county, it is a 2006 International/2007 4-Guys 1500/3000. Now in reserve status. Reserve Tanker 604 at Round Hill was this 1996 Freightliner 70/Superior 1000/1800. The tank has a "T" shape and lower profile. In December of 2011, it was sold to Carter City, Kentucky. 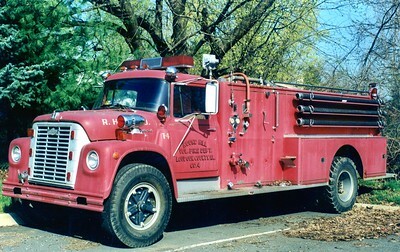 Former Tanker 4, a 1969 International Loadstar 1800/American, 350/1500. Former Brush 4, a nice 1969 International/1983 Chase Snyder, 250/300. 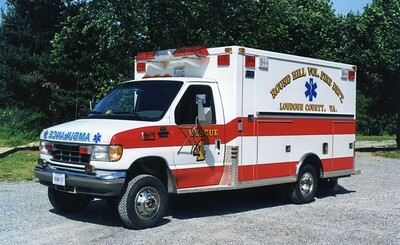 Ambulance 4-2 from Round Hill was this 2004 Ford E350 4x4 built by Wheeled Coach. Sold in approximately 2015. 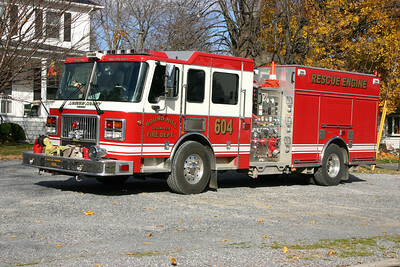 Former Rescue 4, a 1994 Ford E-350/Marque. 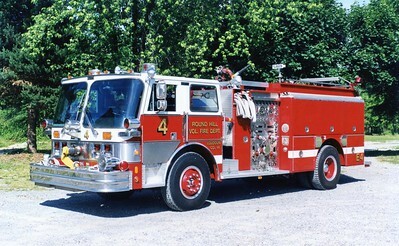 Former Rescue 4-1, a 1988 Ford E-350/Wheeled Coach. Sold to Lucketts, Virginia, in 2003. Former Unit 10, a 1988 Ford E-350/Wheeled Coach. 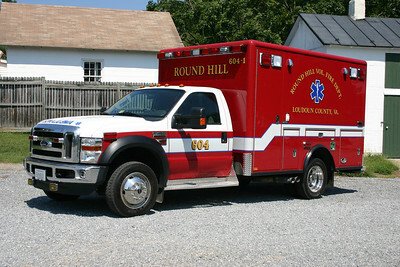 A non transport unit, former Round Hill (Loudoun County), Company 4. A special thanks to Lt. Ray Muth and the B Shift crew for the opportunity to photograph the newer Engine 604 and Medic 604B at Franklin Park in the Round Hill area. 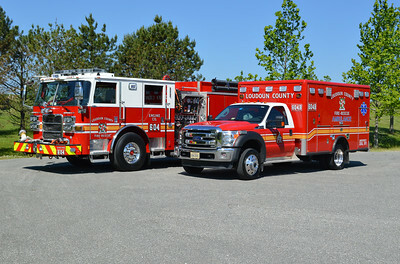 Engine 604 is a 2015 Pierce Arrow XT 1500/750/50 and Medic 604B is a 2014 Ford F450/Horton. Photograph was taken in May of 2015. 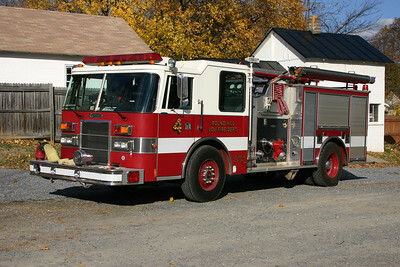 Former Utility 4, a 1990's Chevy Silverado 20.